Some NYC subway stations have small buildings used as entrances, especially where the subway lines run in an “open cut” or a roofless tunnel. Of course on the original Interborough Rapid Transit built from 1904-1908 that was mostly in Manhattan and then ran into the Bronx and Brooklyn, original subway architects Heins & Lafarge constructed large station buildings are the more important stops. 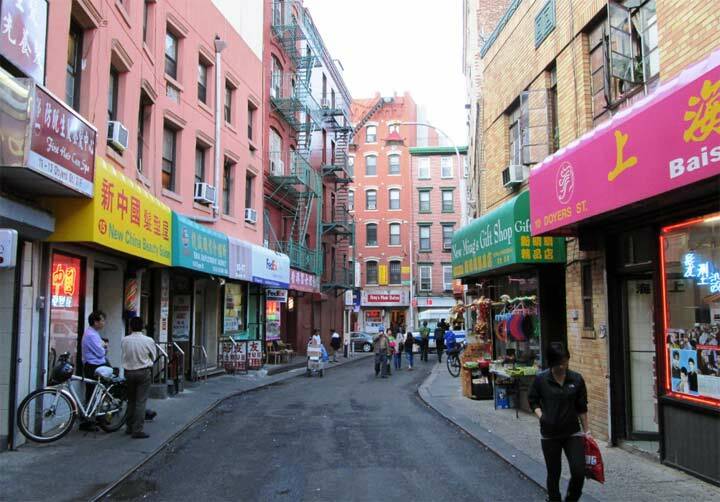 A few of these survive, at Bowling Green, 72nd Street and in downtown Brooklyn at Flatbush and Atlantic Avenue. Much less remarked-upon were station houses built for Brooklyn-Manhattan Transit, the old BMT, in the 1910s. Most of these are on the Sea Beach Line, today’s N train, but there are one or two on the West End (D) and Brighton (Q) Lines. One of a pair on the Brighton is this one, on Parkside and Ocean Avenues at the SE corner of Prospect Park. In thee years the subways’ chief architect was Squire Vickers. 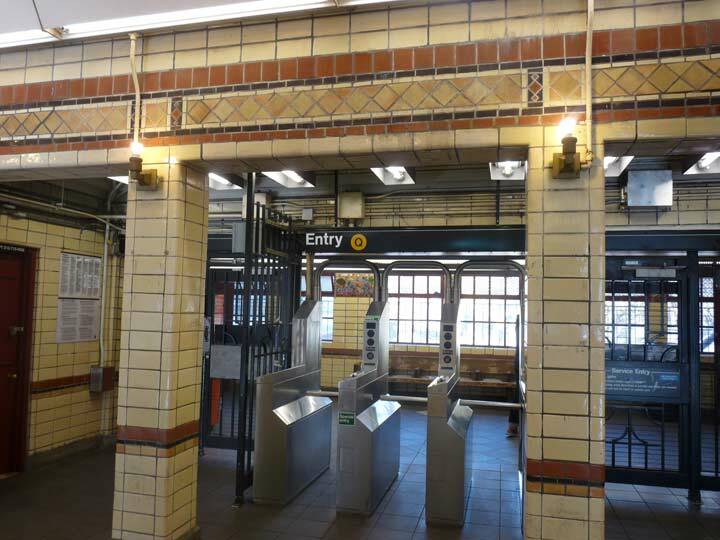 He imbued all these stations with an “Arts and Crafts” esthetic with plenty of glazed tile and terra cotta and differently-colored shapes. At Parkside Avenue,the original lamp sconces have also survived and been outfitted with the latest long-lived lightbulbs. Unfortunately most of the Sea Beach station houses will be under renovation until late 2018, but one on the West End, at 9th Avenue, has been newly renovated, and the Prospect Park and Parkside Avenue stations have also been cleaned up in recent years. The ones on the Sea Beach will be looking good soon as well. I will have more from the Parkside Avenue station when I do pages on my lengthy Thanksgiving 2017 walk from Sunset Park to Maspeth. The Parkside Ave BMT Brighton local station was my usual stop growing up…..I lived halfway between this stop and the Winthrop Street Sta on the Flatbush Ave IRT line.So I could take either train into the City..Very Convenient…….